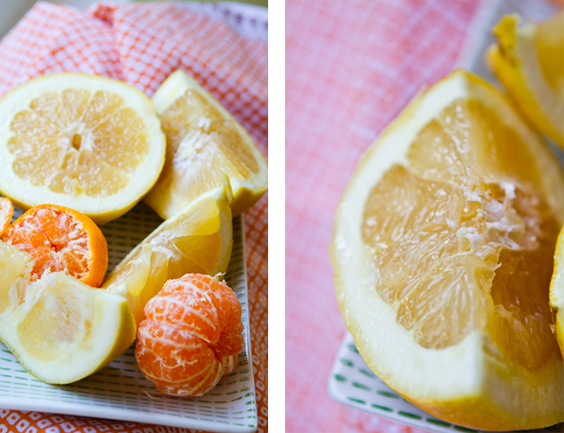 I was sidetracked by winter citrus this afternoon. It ravished me with its zingy aroma, shiny tart rind and juicy alluring flavor. Totally into my work, but feeling those 4pm blues of fatigue, I needed some zing. Energy. Hydration. 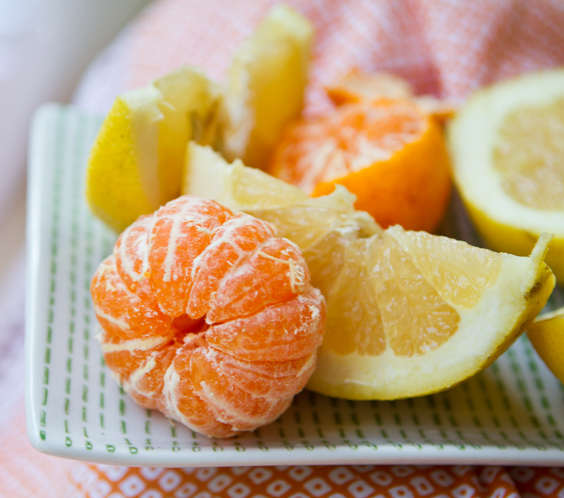 Winter citrus to the rescue!.. 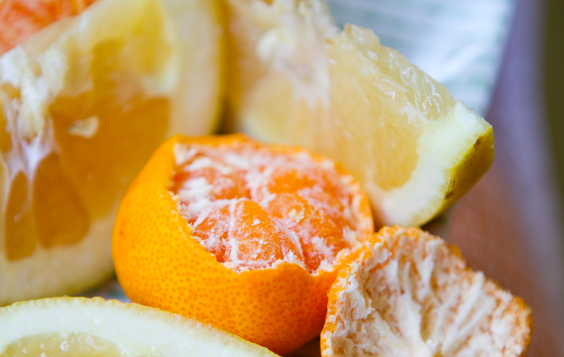 ..I took a citrus break to peel open one bright orange farmer's market satsuma - perfectly chilled from the fridge. Sweet, succulent, velvety in texture. 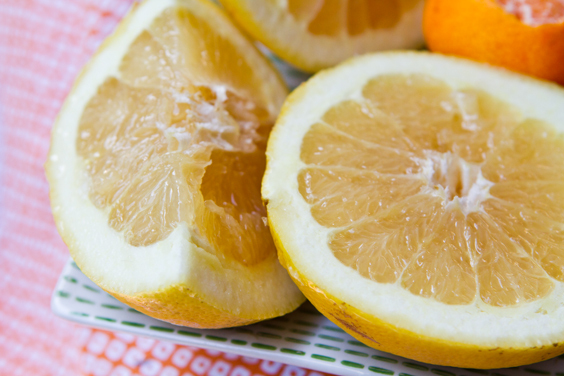 These perfectly sweet, not too acidic gems could even be described as creamy. Like biting into a tall glass of orchard-fresh juice. 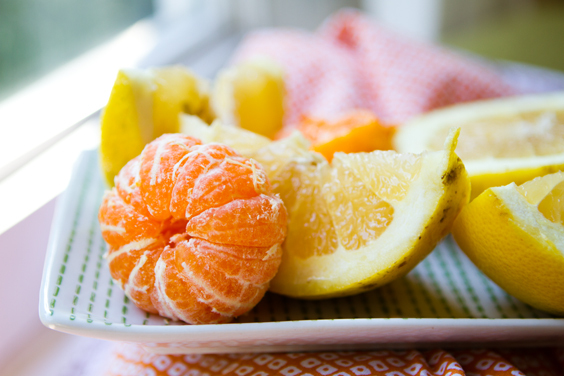 My one-satsuma snack quickly turned into a citrus bonanza. 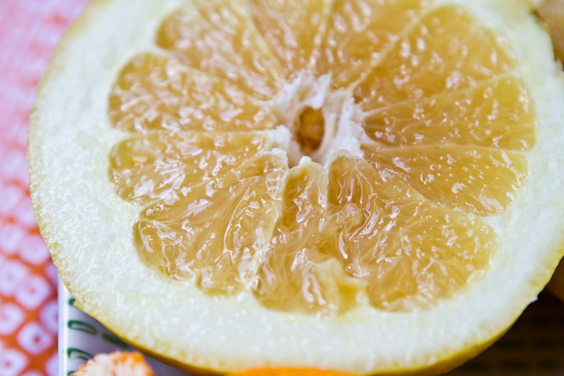 I crafted a piled high plate filled with vibrant, vitamin-C infused sunshine: white grapefruit and satsumas. Dear winter citrus season, please don't ever leave me. 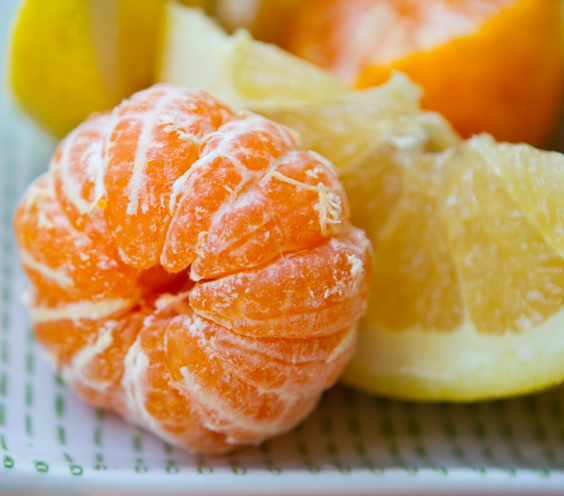 It's always sunny with a bright orange satsuma in the palm of your hand. 5. 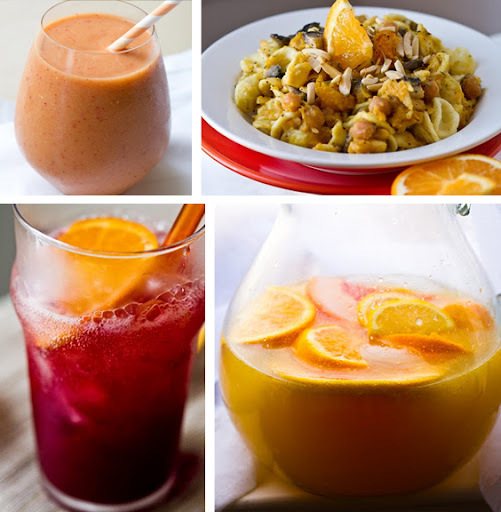 Vibrant Orange Juice Frosty - LOVE this smoothie. 14. 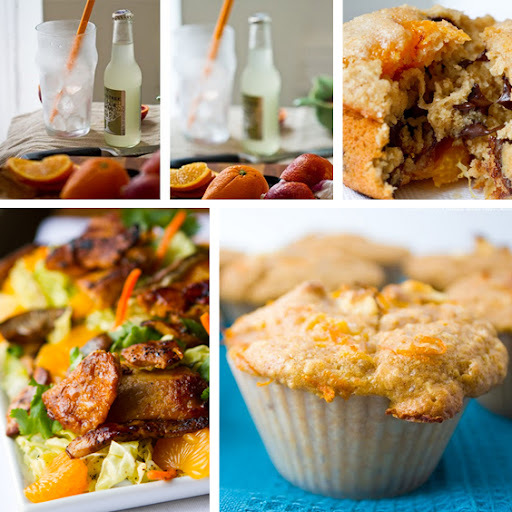 Orange Glow Muffins - spicy citrus breakfast muffin! 20. Sugar Snap Pea Grapefruit Maple Nut Salad - snap pea salad with citrus! StumbleUpon it! 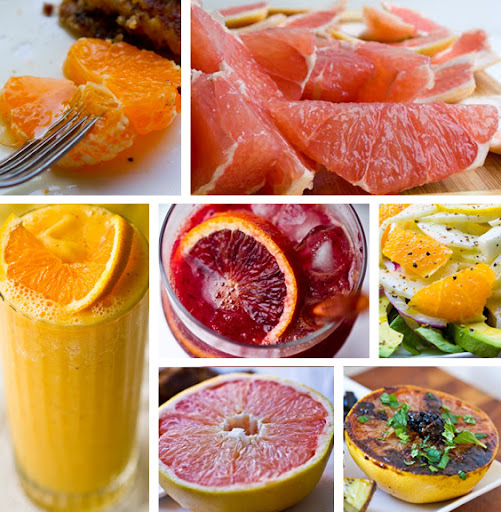 If you like this citrus-infused post - please show your love by StumblingUpon it! Button at top.